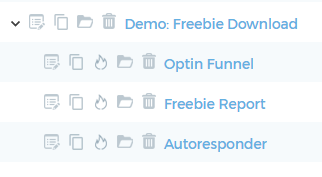 We will send traffic to the optin page from different traffic sources. We will be able to find out which traffic source, and which placements from that traffic source are the most profitable ones. We will also find which ones are not profitable so we can stop advertising on them and finally we will also find out what is our lifetime lead value broken down by traffic source. After someone optins, he is being redirected immediately to the affiliate offer. 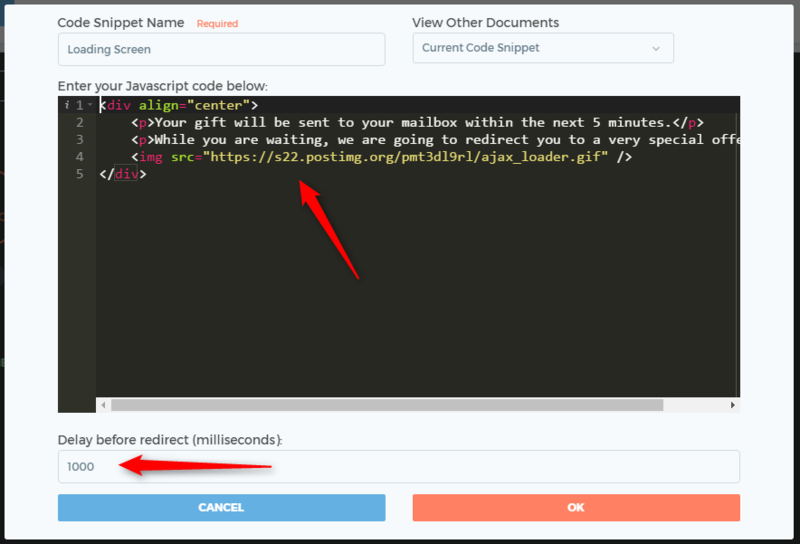 This optin page is created as an offer and not as a lander - because we want to track each email lead as a conversion, and conceptually ONLY offers convert. Our optin offer's conversions have a $0 payout, but they are still considered conversions, because we are earning leads. 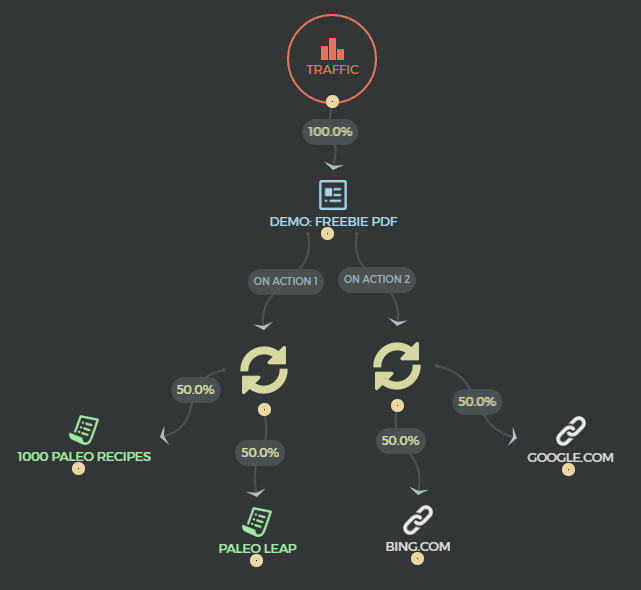 After you have setup this funnel, right click the action 1 label to get the action's URL, and use that URL as the redirect URL in your autoresponder optin form, so that when someone optins, he is being redirected through this action's URL. In our case, we would like to have an extra step between the optin and the redirection to the offer. We want to inform the subscriber that his freebie is being sent to his email box and that, in the meantime, we will show him a special offer. This step is optional, but highly recommended as it will help your subscriber understand what is happening and why he is not getting immediate access to what you have promised on the optin form. In this tutorial we are going to use the second option, the automatic redirect. 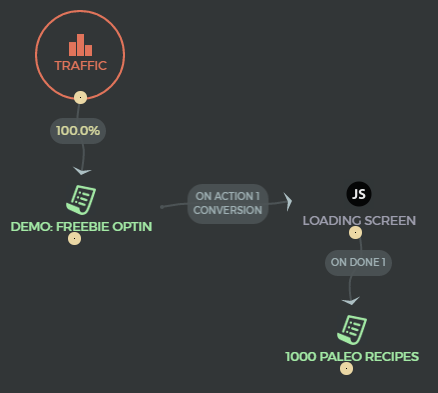 Place it between the optin and affiliate offer nodes, and name it "Loading Screen"
When a new lead subscribes, we send him, by email, a link to download a PDF report. 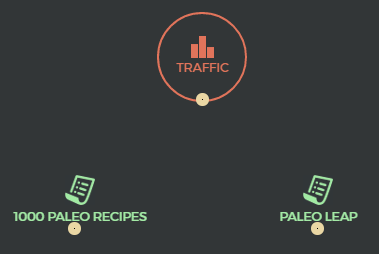 A traffic source setup in FunnelFlux to categorize that traffic. Let's start with the traffic source and let's name it "My Channels". Now let's have a look the content of the demo PDF report - I kept it very short just to show how to set it up. When someone optins to the list, we send him to the funnel above by using the traffic source "My Channels". The URL used in the "demo: freebie pdf" lander in the funnel above is the URL of the PDF file itself, so when someone enters the funnel, his browser prompts him to download the report. The URLS from the 2 actions going out from that lander are used in the PDF report, as "link 1" and "link 2", as shown in the screenshot above the funnel. This funnel is extremely simple. 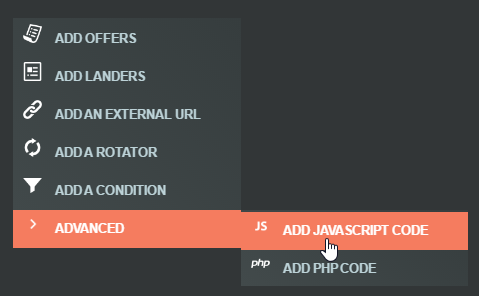 It contains all the offers that will be promoted during the email sequence, without having to connect any node together. When we want to promote one of these offers, we simply right click it in the funnel diagram and select "Send Traffic Here". Now that we have seen all the different elements composing that campaign, let's send some (fake) traffic to it, to see how to analyze the stats.